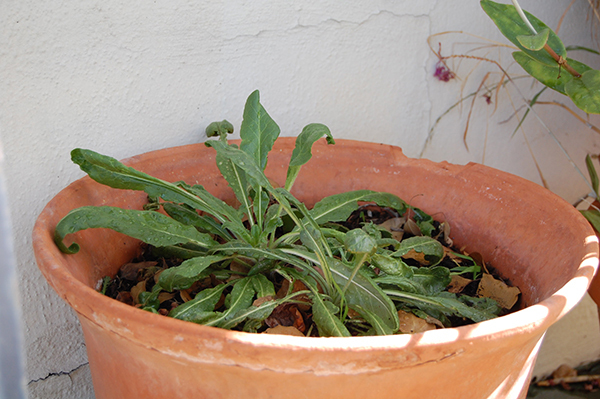 Earlier this year I stared some Woad in a planter to see how it would do. So far it has survived the crazy weather and nibbling by local urban wildlife. Looks like it would be possible to grow this one in planters if no yard is available. This area is the Weld and one Woad plant behind. And behind that is the dead lawn. Current drought conditions are my excuse for letting the lawn go dormant. (Nice word for letting it dry out.) I wouldn’t have a lawn at all but I’ve been outvoted. 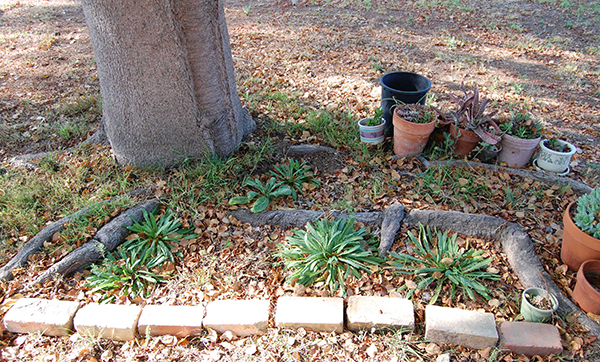 Since I can’t get rid of it I’m expanding the dye plants and medicinal herbs out over it a section at a time. 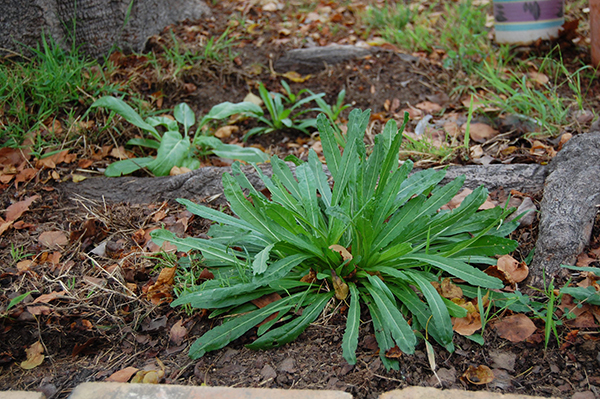 One of the Weld plants with the Woad behind.